Now come these question though,… how do I enable Wake On Lan on my network enabled device, and how do I send a “wake up” call to my device? In this article, I’ll try to cover as much as I can – since it can be a pretty hairy process to setup Wake On Lan. It very strongly depends on the hardware and software capabilities of your device. Even though I cannot every device on the planet, I sure will try to help you get started with Wake On Lan. 1What is Wake On LAN ? 4How to Enable Wake on LAN? What is Wake On LAN ? Wake On LAN, or WOL, is a Ethernet standard that allows you to “wake up” computers or network devices that are in stand-by, and is originally intended for use in a local network. This means for example your home network. WOL is probably most commonly used to wake up a server or NAS, just before access to these machines is needed – for example a media server, which can sleep all day long until you want to watch a movie. There can be several motivations to do this; save on power, save on the environment, save on wear-and-tear of your equipment, etc. 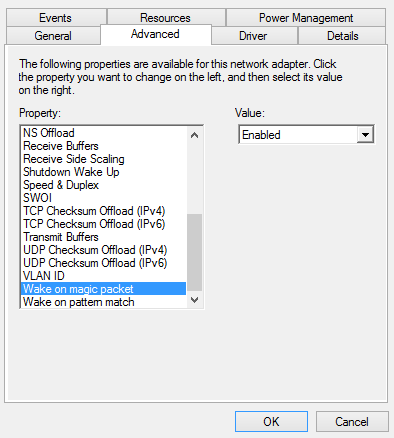 To be able to use Wake On Lan, yoru computer requires the network card of this device to be semi-awake, and still listen to traffic when the computer is in standby, just in case a “magic packet” is being send to the device. While the NIC (network interface controller) is listening, a lot of traffic might pass that might not even be intended for this network connection, so just listening to network traffic would keep your network device awake even when you don’t want it to be awake. That’s why a standard was defined with data of a specific format – the so called “Magic Packet”. Note that WiFi can support Wake on Lan as well, however … not all computers and operating systems support this, so you milage may vary! The Magic Packet (UDP) is typically send to port 9, some systems default to port 7, and some systems allow you to define your own port number. Normally just one single packet should do the trick, but most Wake On Lan applications actually send more than one packet – just to make sure. Enable Wake On Lan on te device which you’d like to wake up. 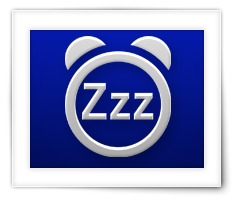 Write down the Mac Address of the device you’d like to wake up –miniWOL does not need this, but most other applications do. Find a WOL tool that can send the Wake on Lan packets. Put your “server” in standby. Test the tool by sending the Wake On Lan Packet and verify that your device fires up. To enable Wake on Lan, your network card (or WiFi card) needs to be Wake On Lan compatible – and not all of them are (especially very cheap or “older” network cards). The network card needs to be powered by your computer, even when the computer is in standby, and should be able to monitor network traffic on a defined port, so it can catch an incoming Magic Packet and see if it’s intended for this computer (MAC address). Since Wifi is often used in mobile devices, then this would mean that your battery keeps being drained, for those devices that support Wake On Lan over WiFi. So be aware and not surprised to run out of juice before you can use your laptop for example. Obviously, this also means that you device (computer) needs to support going to standby, and have BIOS and/or driver support to handle a “power on” signal when the network card sees a correct Magic Packet. You can already guess that there is no simple “one-fits-all” description on how to do this. Some Operating Systems (mostly NAS devices, and MacOS X devices) make it easy for the user. Just enable it in one spot. Others (Windows and Linux for example) can make it a little bit more of a challenge, sometimes you will need to set the option in the BIOS/UEFI, sometimes in the drivers, or sometimes both. Not only do you need Wake On Lan to be enabled, often a setting found under Power Management, but you’ll also like to make sure your device automatically goes to sleep (standby) again after a number of minutes of inactivity. Unless you’re happy with pressing the “go to standby” button on your device of course. Power Management is on some systems very well implemented, which makes it easy to enable “falling a sleep”. Other systems require 3rd party applications or hackery to get the server to fall a sleep again. 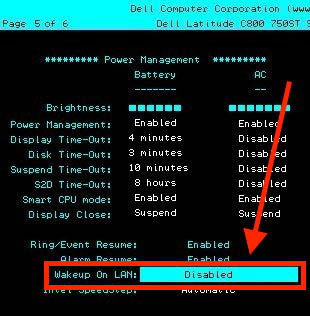 It goes a little beyond this article to describe how to get your computer to go into standby based on your criteria, but most often these settings are found under the power management settings of your operating system. For Windows you can use the very powerful TOff as well, which allows your Windows computer to go to standby when there is no network traffic for a given number of minutes. Of course this application offers way more, yet remains super small. I highly recommend it! How to Enable Wake on LAN? Enabling Wake on Lan on your server, computer, NAS or other device, very much depends on the capabilities of that device. Not every device supports Wake On Lan. 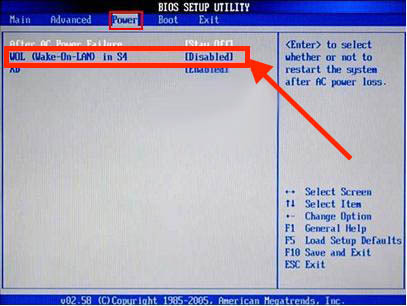 Some systems, typically Windows or Linux based, require you to do some BIOS settings to enable Wake On Lan on a BIOS level. For some of these systems, this would be enough. For others you’ll need to tinker with the driver settings as well. Note that some Operating Systems, may not require you to set this in modern (UEFI) “BIOS”‘es. Since there are so many different BIOS’es around, a few screenshots that I have found online can be seen below. 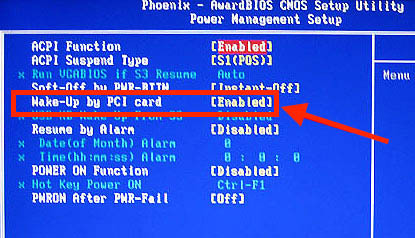 Take note of the key – this is the key or key combination you should press to get into the BIOS. Common keys are: F1, F2, Del, and F12. For a good list of BIOS Hotkeys, see CPUCare – BIOS Access. Look for “Power Management” options. Look for “Wake On Lan“, “Remote Wake Up“, “WOL“, etc. 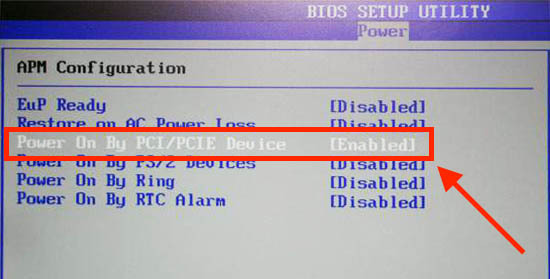 If not explicitly called “Wake On Lan”, look for something like “Power On by PCI device” or “Wake up by PCI device“. If you found different settings, then please help us out, and post your settings in the comments. Please mention the type of hardware/PC you’re using, others will tank you for helping out. Doing the settings in the BIOS might be enough to get things going. If Wake On Lan still doesn’t work, time to check the Operating System settings. Below a few screenshots of different BIOS’es. NAS devices are usually very easy to enable Wake On Lan – no toying with BIOS’es and drivers and such. Such is the case with QNAP and Synology NAS devices. If you have a different NAS, then please feel free to post the setup steps in the comments below – it’s much appreciated by other visitors and myself of course. Go to the web interface and go to “Control Panel” “Power” “Wake On Lan” tab, check “enable” and click on “Apply” (see QNAP User Manual). As far as I know, all QNAP models support Wake On Lan. If you run into problems, the QNAP Forum is a great resource. 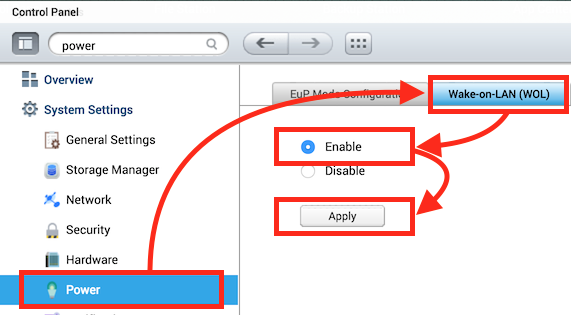 I personally do not have any Synology NAS devices, but I did find this little bit of information on how to enable Wake On Lan for a Synology device. 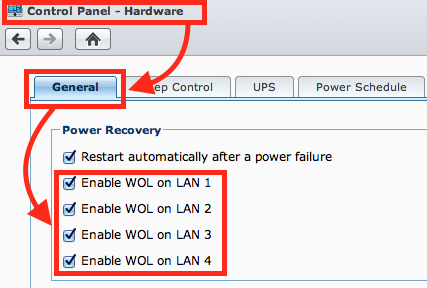 Please note that not all Synology models support WOL – see “Synology – Which Synology NAS models support WOL (Wake on LAN)?“. You can wake up your desktop, laptop, or server, running an Operating System capable of handling Wake on Lan. Most modern Operating Systems are very capable of doing this, it just can be a challenge to find the right setting. I’m assuming you’re using at least Mac OS X 10.11, but older versions will have a the same setting. Go to “System Preferences” “Energy Saver“. Check the option “Wake for network access” or “Wake for Wi-Fi network acces”. That’s all there is to it, you can close this window now. Note: Enabling Wake On Lan on a laptop will drain your battery even when you’re not using your laptop. 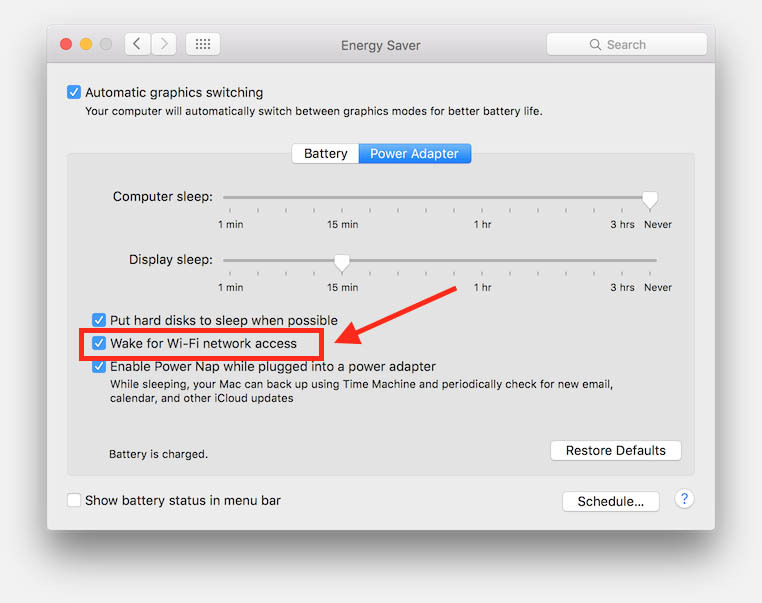 Note: Older Mac OS X versions might call this option in Energy Saver “Wake for Ethernet network administrator access”. Under Windows, I typically, double check and see that the BIOS has Wake On Lan enabled as well. Now the next step will be to enable, if available, Wake On Lan support on your network card. For this (assuming Windows 10), you’ll have to go to the “Device Manager” (press the Windows key + F and type “device manager”). In the device manager, locate the group “Network adapters”, where you’ll find your network card (skip all the Bluetooth etc devices). Right click your network card and select “properties”, which will show you the details in a separate window. Step 1 – Click the tab “Advanced“. “Wake On Lan”, “Wake on Magic Packet”, “Shutdown Wake Up” or “Wake Up Capabilities”. Set that option to “enabled”. If “enabled” does not exist, choose “Both”. If that’s not an option either, choose “Magic Packet” – if available of course. Step 2 – Click the tab “Power Management“. Here you might find the option “Allow this device to wake the computer” – check it if it’s available and enabled. Just below that another option might be visible or appear called “Only allow a Magic Packet to wake the computer” which you’d want to enable/check as well. Click “OK” when done and your Windows computer should have WOL enabled. Windows 8 might have issues with WOL when Fast Startup is enabled. You will have to disable Fast Startup. You can do this by going to “Control Panel” “System and Security” “Power Options” “Choose what the power buttons do” “Change settings that are currently unavailable”. Now scroll down, and uncheck “Turn on fast startup (recommended).”. The consequence will be that your PC will start up a little bit slower, which probably does not affect the speed of coming out of standby, but you’ll be able to use Wake-on-LAN. There are numerous Linux variants available and each might have it’s own quirks when it comes to setting up. I strongly recommend enable Wake On Lan in the BIOS to begin with. These steps seem to work for CentOS and Fedora as well. First we need to determine whether the network card (NIC) supports WOL. I know my computer has the IP address 192.168.1.195 (line 4), looking up where this list starts, we see in line 3 that our NIC is called “eth0“. Your might of course be different. Next we will use the tool “ethtool” for to determine WOL capabilities (if “ethtool” is not installed yet, install it with: sudo apt-get install ethtool ). Pay attention to the highlighted lines. If this output contains a line similar to: Supports Wake-on: <some characters> where <some characters> contains the letter “g“, the NIC should support the WOL (as show above, line 16). If you card supports WOL, we should check if WOL is already enabled or not. We can fid that in the same output of “ethtool”. This time look for: Wake-on: <some characters> (as show above, line 17). If <some characters> contains “g” and not “d“, then WOL is enabled. If it contains “d“ then WOL is not yet enabled. This should ensure that WoL is enabled on each boot. Add NETDOWN=no in /etc/default/halt to prevent powering off the network card during shutdown. Besides all the needed settings (see below), you of course will need an application that can send Wake On Lan Magic Packets. There are quite a few around, some pretty, some advanced, some ugly. But they exist for pretty much any platform and system, and usually they are free. Just keep in mind that most of these applications are intended for use in your local network. Sending magic packets over the Internet is typically not supported, with a few exceptions of course. Find below a list of some of the Wake On Lan (WOL) applications I’ve used, or have found online. There are tons more to be found, so if you see your favorite one missing, or noticed that one of the listed apps being crap, then please mention it in one of the comments below. I’ll try to keep the lists updated based on your input. miniWOL2, miniWOL, AquilaWOL, NIRSoft WOL, WakeOnLanx, Wake On Lan Applications in the Microsoft Store, and Depicus Wake on Lan for Windows. miniWOL2, miniWOL, WakeOnLan, WakeOnMac, Remote Wake Up, and Depicus Wake On Lan for OS X.
miniWOL2, gWakeOnLAN (GUI), WakeOnLan (Shell), and etherWake (Shell). WakeOnLAN, EasyWol, WOL Wake On Lan Wan, another WakeOnLan, Depicus Wake On Lan, QManager (QNAP), Unified Remote, and Fing Network Tools. EasyWOL, iNet WOL, Mocha WOL, WakeUp, Fing Network Scannner, Depicus Wake On Lan, QManager (QNAP), Unified Remote, and RemoteBoot. DSLReport, WakeOnLan.me, RemoteWakeUp, and Depicus. 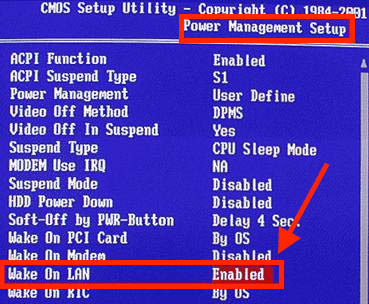 You can enable wake-on-lan under “Settings” “System” “Power saving” “Try to wake remote servers on access“. Kodi will try to find the MAC Address and such by itself, and create a specific file called “wakeonlan.xml” and is located in the “userdata” folder. You can tweak this file to fit your needs. To make Wake On LAN work over the Internet, for example to wake up your NAS at home, while you’re traveling or in the office, you’ll need to do some port forwarding in your modem/router. Most modems/routers support this, and a good website to find router specific information is PortForward.com. Since Wake On Lan typically uses port 7 or 9 (UDP), you’ll have to forward that port to your network device that you’d like to wake up. Obviously, when you configured a different port, then you’d need to use that one. Note that port 9 (UDP) is the most commonly used port for Wake On Lan and before going this route, I’d test the proper port number in your local network first. Instead of using the IP address of your network device, you’ll need to use the public IP address of your Internet connection at home. Look on the left here on Tweaking4All, and you’ll see what your public IP address is under the header Statistics, or go to our IP information page. You can of course also go to Whatismyip.com to find your public IP address. Since some Wake On Lan utilities still might not work that way, you might have to set the subnet mask (if the application allow this) to: 255.255.255.255. See also: “How To Geek – How to Remotely Turn On Your PC Over the Internet“. Tip: Using DynDNS, for those who’s public IP address might change frequently, will be very helpful. Tip: There are several online tools available that can send the WOL Magic Packet over Internet. To name a few: DSLReport, WakeOnLan.me, RemoteWakeUp and Depicus. Now I can’t really write a full write-up on how to trouble shoot Wake On Lan, but I can point you to two tools that can help checking if Magic Packets get sent and arrive at your computer. The ultimate tool for sniffing packets is WireShark, and it’s available for MacOS X, Windows and Linux (for Linux: scroll down on the Downloads page). They even have a helpful article on how to snif Wake On Lan packets. But … Wireshark can however be a little cumbersome to work with if you’ve never used it before. There are 4 comments. You can read them below. Does anybody know of a WOL app for Windows 10 mobile that works. I have a Lumia 950XL and connect remotely by VPN. I have tried about 6 WOL apps from the Windows 10 mobile store, but cannot get any to work. I have not had the opportunity to test my own little app, miniWOL, over VPN. I have noticed however that not all computers/servers/NAS devices/etc respond exactly right when it comes to using WOL. Add you Device to the list with the proper MAC address. I’m not sure if the automatic finding of the MAC address will work over VPN, but if it does, first enter the actual IP address, find MAC address. Then finally set the IP address use: 255.255.255.255 instead of the actual IP address of the device to which you’d like to send WOL. I finally got the MagicPacket app to work. 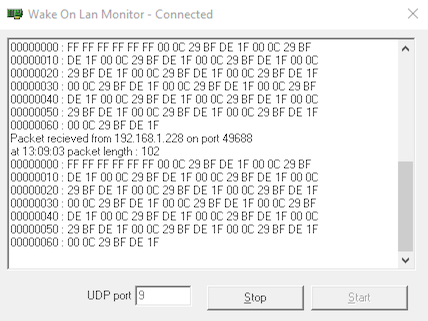 Used FQDN for ‘Host(Wake on WAN)’ field, and Port = 9. Also used Default(Automatic) for ‘Wake on LAN mode’. Which Magicpacket app did you end up using?